Young Singers is a group of young people who enjoy singing. We meet most Fridays during term time 6.45pm - 7.30pm for practice. 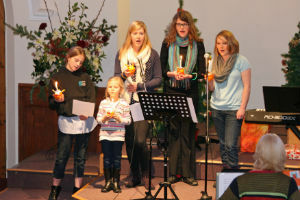 Young Singers perform at Bishop's Stortford Methodist Church on special occasions such as Christmas & Harvest Festival and other special services.